Sometimes, even the best rivalry in baseball needs a spark. Everyone knows that the New York Yankees and the Boston Red Sox are major rivals, but at times, it feels like it’s only a huge rivalry because we’re told that it is. The fanbases don’t like each other, sure, but that’s true for the Yankees and a lot of teams. Just check Twitter, and you’ll see Orioles and Blue Jays fans that have just as much disdain for the Yankees as Boston fans. The uniqueness of the rivalry between the players can lessen over time, too. There was a time when athletes were more tied to the cities of their teams, and during this time, real bad blood could develop easily. Players didn’t see each other as much and traveling around and living in other places for the offseason was rarer than it is now. A local rivalry between cities like Boston and New York could spread from the fans to the players, and it wouldn’t be out of the question for players to dislike the other city legitimately. These days, things are a bit more connected. Outside of players traveling and mingling more in general, they play together on national teams and are sometimes represented by the same agents. It’s easy for them to become friendly, and while that’s nice to see, it doesn’t help the big rivalries in the sport. That’s why you need a little kick every once and awhile, to remind the players that this isn’t just another game on the schedule. Whatever the players really think of each other, the brawl on Wednesday seemed to make everyone put their friendliness aside and jump in to fight for their teammates. Wednesday’s game is over, but this isn’t the kind of thing that will be forgotten quickly. 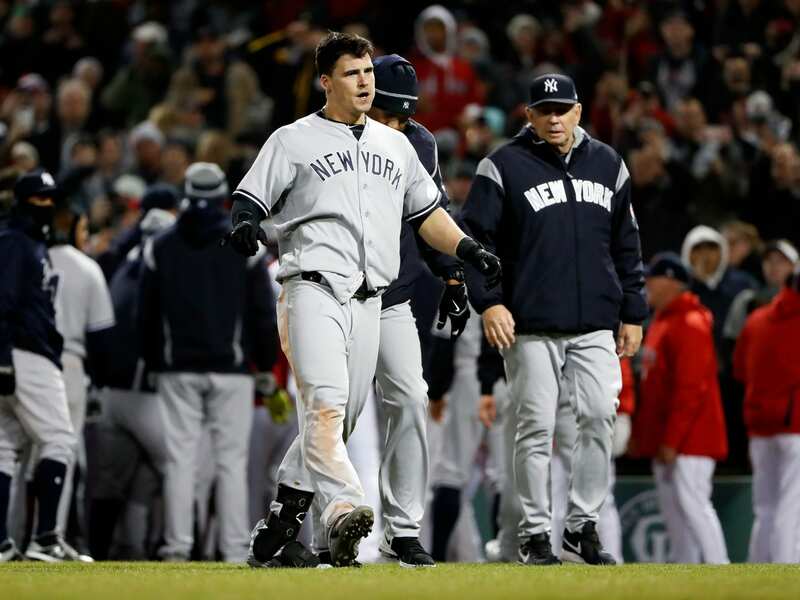 There will be tension, and when the Yankees face the Red Sox again later in the season, you can expect everyone to remember what happened last time. If you don’t believe me, just look at the fights between the Red Sox and the Orioles last season, which ran across multiple series. It’s only the first Yankees-Red Sox series of the year, and we already have tension going into the next games. Retaliation will be a concern, whether someone is hit intentionally or not. Both sets of fans will also have some new talking points, and a vivid reminder of just why they don’t like the other team. Not because that’s the way it’s supposed to be, and because the rivalry is the most promoted in baseball, but because of moments like this, the kind that capture the attention of even the neutral fan. The rivalry wasn’t ever in danger, but going into this season, it didn’t feel the same as it has in past years. After Wednesday’s events, that’s changing. Pre-Draft New York Giants Hype Article — Get Pumped, The Draft Is Here!